Good Soup for a Bad Day with roasted chicken, ancient grains & winter vegetables. This was one of those dishes that you have to be brave about, because visually it&apos;s a little off-putting, but flavour-wise it was surprisingly better than expected... but only just. There&apos;s a lot going on in this soup and unless you are prepared for it, it may be a little confusing and overwhelming. Personally, I think it could have done without the mushrooms, but that&apos;s just me - I&apos;m not a fungi-guy really. Never acquired the taste for them and while I can tolerate them as an ingredient, if they become too prominent the whole dish suffers in my view. 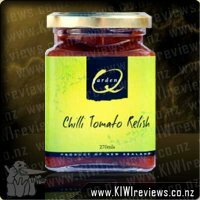 Still, for some, this may be a highlight so I leave it to you to decide for yourself if the flavour is too much or not. Texture-wise this was bordering on a broth - thicker and chunkier than a soup by my reckoning, but not chunky enough to be a stew. Personally, I hate to admit but I was not a fan. Overall, this is one I probably will not be buying again. It had too much going on, and by the time I got to the end of the pot I was quite happy to be finished it. 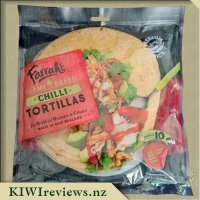 This was the second Tasty Pot I received for review and when I saw that I had been chosen for this, I was really excited. 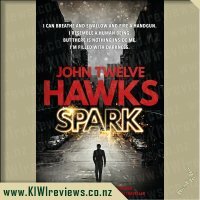 I really LOVED the name - it is very relate-able and something I would take a second look at in the supermarket. I like the colour and It initiates the thoughts of warmth and sitting next to the fire with granny&apos;s home made soup. Thankfully it tasted better that it looked. It was subtle, but on a snowday (which it was today) it was much welcomed by my belly. The texture was a little odd and the veges a little mushy, however keeping in mind its healthiness, it is a winner in my opinion. 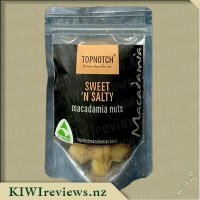 It is a little more on the expensive side, however the serving size is awesome and you would get two lunches with this. 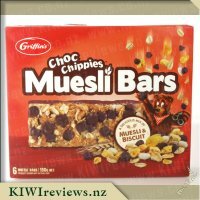 It was awesome with cheese rolls added on the side and dipped in! A southern speciality! 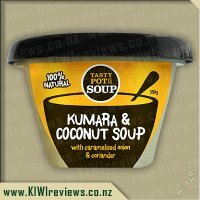 I&apos;m not sure I would buy this again because of the price and others on the market being a little cheaper, but it is a great competitor and I hope it comes on special at our local New World so I can try the Kumera and Coconut soup. 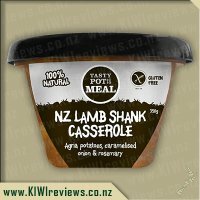 I was very lucky to be given the chance to review three of the different tasty pot meals. This would have to be my least favourite out of the three of them unfortunately. 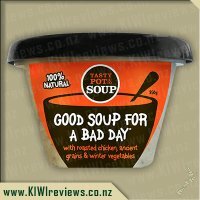 I was intrigued when reading the name "good soup for a bad day" and it immediately had my mind boggling about what flavour it could be. 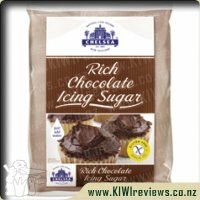 I was interested to read on the back of the packet that it was 100% natural ingredients and gluten free. Most soups on the shelf have gluten in them so its nice to see an allergy friendly soup. I poured my soup into a bowl before heating as I don&apos;t like having plastic in my microwave. I was astounded by how thick and lumpy the soup was and how many vegetables and chunks of chicken were actually in it. The colours of the grains weirded me out a wee bit and made me feel a bit iffy about wanting to try it. I like chunky soups but was unsure as to how the texture of the grains would go. After heating I was impressed with the smell, it was a nice strong smell of chicken but it was enough to make my mouth semi water. 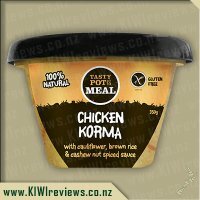 My first spoonful was great but the grains/lentils just didn&apos;t do it for me. I managed to eat the entire soup but I wouldn&apos;t rave about it like the other two flavours. Flavour was amazing, smell amazing but the grain texture is just not for me. Maybe if the grains were blended or a bit softer it might have changed my mind and just blended in with the vegetables instead of sticking out. All in all a good soup but not as amazing as the other two flavours I got to try. 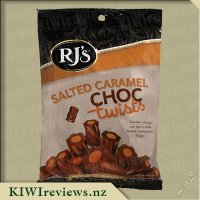 When I grabbed this off the shelf I really wasn&apos;t too inspired by it and given a choice, based upon looks, I wouldn&apos;t have bothered trying this but given that I needed to review it I bit the bullet and finally sat down to eat it. I followed the instructions on the back of the pot on how to heat this on the stove top and soon enough it was bubbling away, my husband and I both agreed that there was a strong smell of the cream but not much else. One thing that we did notice was that there were a couple of big chunks of mushroom and leek, which didn&apos;t really fit in with the rest of the dish. My husband decided that this looked very unappealing, I won&apos;t give details, but none the less I had to tell him to shut up before me off even giving it a try. I split it with my husband and we both dug in, despite the concerns about how it looked. The grains add a bit of an odd texture to it but we adapted to that soon enough and I could tell that there was kumera in it by the slight texture, I usually cannot stand kumera (because of the texture) but it was tolerable in this soup and it didn&apos;t take long for either of us to finish our share. A nice soup once we got over the appearance and the grains but I&apos;m not sure we&apos;d buy it again. The name is a bit of an odd choice. If asked to guess the flavour of soup from "Good Soup for a Bad Day", one would generally pick the classic chicken soup, and yet it still seems a very subtle title. Of course closer inspection mentions "roasted chicken, ancient grains, & winter vegetables", but it still didn&apos;t catch my eye, when I was scanning the shelves in the supermarket. I quite like the labelling on the product with its humourous additions to the heating instructions, and use of asterisks ("*"). I was a bit unsure of the clear packaging. 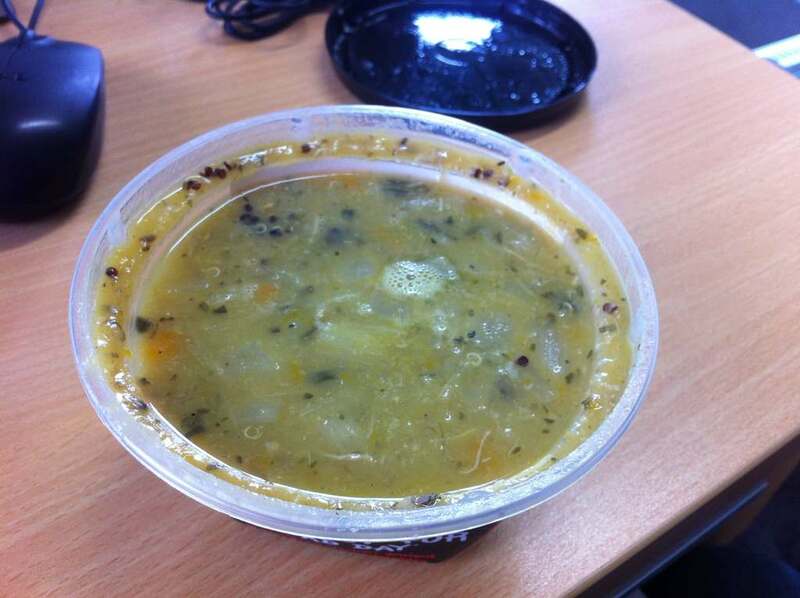 Despite knowing it is a soup, it looked less than appetizing when viewed from the outside and looked half empty; but that was just a trick of the packaging. Today I ended up doing heavy manual labour in freezing rain. So when lunchtime came around, I was looking forward to something hot and filling. The heating instructions were very straight forward, and mention caution as the packaging is hot after heating. It is important to also mention that due to the shape of the lid, it may also drip onto you if you have to carry it a distance after opening and heating. I still didn&apos;t think that it looked the most appetizing once heated (infact it looked more like a passionfruit sauce), but this is due to the consistency of the product. I generally prefer a thicker chunkier soup. 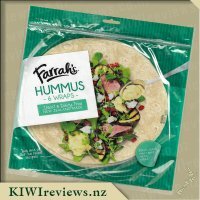 This product is more watery; it still has chunks of meat and vege, but because of the consistency, they sink to the bottom of the packaging. 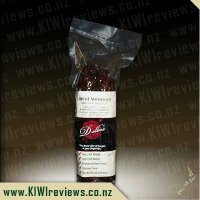 There are a large number of ingredients, but they are all present in small volumes. I am not a fan of pumpkin, but it is present in small amounts to not ruin the flavour for me. The flavour was not strong, but rather subtle. There was no ingredient that really took the main stage with taste. But it was still nice, and surprisingly filling. I&apos;d have no problem with having this product again, but probably wouldn&apos;t be looking for it specifically, unless I was feeling sick and needed a easy to prepare chicken soup. Good soup for a bad day, I was sold on it as soon as I saw the name this was one I just had to try. What a better day to try it then one where it&apos;s freezing cold and pouring rain! On reading the ingredients list I was pleased to see once again as promised the list was made up of 100% natural ingredients. Reading the ingredients it had everything included to make for one very tasty soup. it was so easy to throw in the microwave and heat, by the time my toast was ready so was the soup. Opening it up the smell was wonderful stirring it up I could see the big chucks of chicken and veges, there was also lots of grains in it. On the first bite I was a bit unsure the flavour was great and what you would expect from a full bodied chicken soup but the grains were an odd texture. However after the first few spoonfuls I got used to the texture of the grains in the soup and I was sold. It reminded me more of a decent home made soup then a mass produced soup. The chucks of roasted chicken was my favourite part of the soup and they was plenty of in mixed through. I will be buying A good soup for a bad day again for sure, perfect winter pick me up! 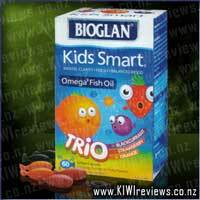 Bioglan Kids Smart Trio contains 3 different, deliciously wild fruit flavours, all in one pack. Great for kids who love exploring new flavours, or families with kids who have different taste favourites - Bioglan Kids Smart Trio keeps everyone happy! Experiment and explore which flavours you like best.